iPhone and iPod Touch users had no other alternative to Safari. 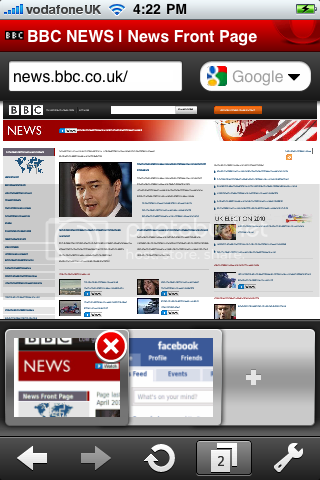 But, to be honest, I personally didn’t like the Safari browser in the iPhone. I don’t know how many of you will agree on this point. I felt, there were two major drawbacks in the iPhone Safari. Firstly, it was too slow and secondly, it had very few features. I’m a big Opera fan and I was eagerly waiting for Opera to be released on iTunes. 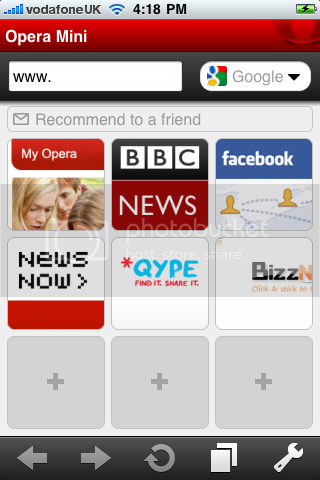 I downloaded and installed Opera on my iPhone 2G and found it to be really awesome. It was definitely a great choice over Safari when it came to speed. Moreover, there were several exciting features that I noticed. The speed dial feature and tabbed browsing feature was really great. The settings page was pretty neat and easy to use. Now, that I have spoken about all the pros I would like to point out one major drawback. I found that scripts don’t well sometimes and sometimes page doesn’t display properly. But, I guess we should give them enough time as it’s the first version and I’m sure that they will release better updates that will eliminate the cons.